When partying enthusiastically, like so many did during this F1 Grand Prix Weekend (including yours truly, who’s been covering events consecutively since Wednesday), it becomes absolute necessity to have good cure-all masks on hand that work miraculously to undo all the one-too-many glass, way-too-little sleep evidence from the face-damaging festivities. 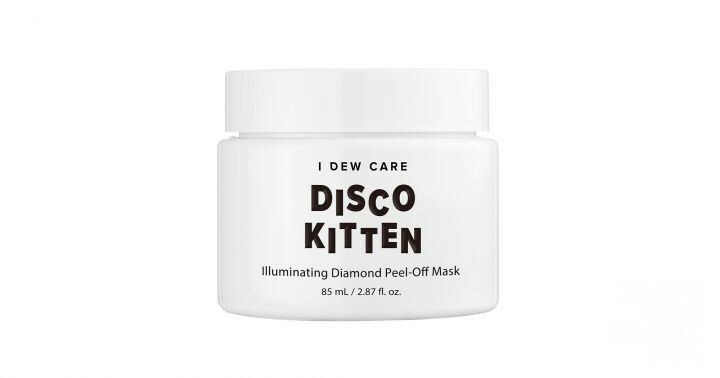 Enter one of our beyond faves on this front: The fabulously named I DEW Care Disco Kitten Mask. Masterminded by the savvy beauty gurus at MEMEBOX, this new peel-off baby is action-packed with high-performing ingredients like exfoliating and brightening Pearl Powder, elasticity-replenishing and illuminating Diamond Powder, soothing and moisturizing Rice Bran, and fortifying Oat. There’s also myriad other potent natural stuffs, derived largely from florals, that go the post-party distance and help the cause. Fun too: It works in just 20 minutes before you get to give it a gratifying pull, revealing a back to normal fresh and pretty you! Like magic, you will have restored your gorgeous self, ready to tackle the week as well as next weekend’s celebratory vibes (naughty wink!!). Yeah you love us. We love you too Social Gals and Gents. To order, or secure more tidbits, go to Ulta Beauty.